As ultra-low emissions zones start appearing across the UK's cities, the demand for sustainable urban freight capacity will increase. MAGGIE SIMPSON considers whether rail is ready to take the strain. Across the globe the trend for urbanisation continues and our cities and towns are becoming ever more populous. Data from Centre for Cities suggests that some 54% of the UK population lived in a city in 2016, whilst other statistics put the total urban population as high as 83%. Little wonder then that urban transport is gaining such importance in public policy, and in particular in the case for regional devolution. A core focus of these discussions is the movement of people and the migration away from the private car, with a focus on walking, cycling, and public transport, with any remaining car transport using electric vehicles. Such policies also impact on the use of urban space, including pedestrianisation, cycle infrastructure and soft policy such as clean air zones and congestion charging. For freight transport, these measures are not without their impacts. The advent of clean air zones has for example led to greater uptake of Euro VI HGV engines in cities. This is good for air quality, but Euro Vi remains a diesel engine and there is no long term solution to its replacement. There remains strong support from some policymakers for peak time HGV bans, but these do not often align with the planning restrictions on customer locations which limit night time operations. And the much favoured cycle courier has a role in some niche areas but seems unlikely to dent the 400,000 or so tonnes of goods that the RHA estimate come into London each day. ...there is real appetite for such services with retail businesses, particularly with increasing constraints on the road. Policy makers seem perplexed with the issue, and the intractability of the solution, and as a result the interventions are often tactical rather than strategic. The current study from the National Infrastructure Commission may help to nudge the debate, but city and regional bodies will need to develop realistic strategic plans for freight distribution in urban spaces, recognising that without it, the shops, offices, and houses they so desire will not be delivered affordably. Rail freight can be part of this solution, and there is a growing acceptance of its role within urban administrations. Today, this tends to be focussed on infrastructure delivery, and the need for urban railheads for aggregates and construction materials. However, getting rail into retail distribution, particularly into urban centres, remains largely elusive, despite the successful trials into Euston some years ago. A vision of electric rail freight into stations with electric van delivery thereafter is however achievable, if the policy space and railway can align. As ever, the suffocating inertia of the railways has some part to play – Euston is ‘out of bounds’ for HS2, it doesn’t fit the business model of current freight operators, overnight trains are an issue for engineering schedules. Yet there is real appetite for such services with retail businesses, particularly with increasing constraints on the road. A good first step would be a demonstrator programme supported by regional transport bodies who can use their leverage to bring retail customers together. The rail operation could be supported in the early stages using innovation or other funding, or perhaps by discounting station access charges for a limited period. Perhaps retail units in stations could also be encouraged to be early adopters, reducing HGV road trips to stations in the so doing! Rail will only ever be part of the mix, but it can be a key enabler for low carbon freight in our cities, and one which we need to start exploiting now. 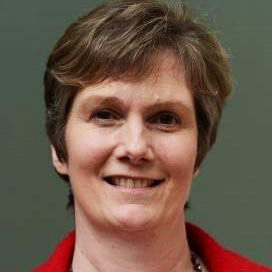 As Executive Director of the Rail Freight Group (the representative body for rail freight in the UK), Maggie Simpson leads the Group’s work to ensure that Government and rail industry policy is supportive of a growth in rail freight and that member companies have the opportunity to participate fully in the sector. Previously Maggie worked in a range of passenger and freight roles, including freight strategy development and franchise management. She has also worked in consultancy, and has been recognised as one of Women In Rail's twenty most inspirational women in the rail sector. Permanent Rail Engineering is an engineering consultancy focussed on planning, design and management for sustainable transport, including railways. The views of our guest bloggers aren't necessarily exactly the same as ours, but you can be sure that there's a good overlap on transport matters.